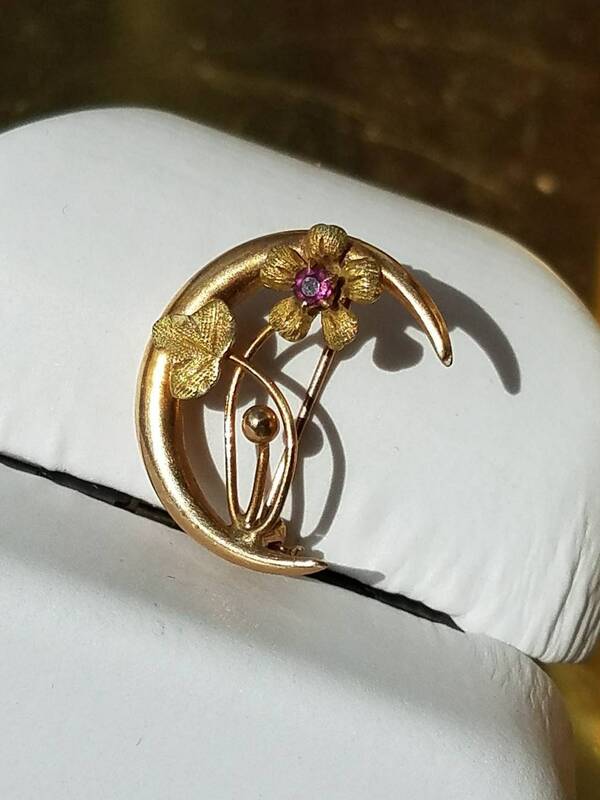 This Victorian brooch is 10K yellow gold, with an outside crescent shape, and a flower with a central amethyst. The clasp is a "c" clasp and works perfectly. 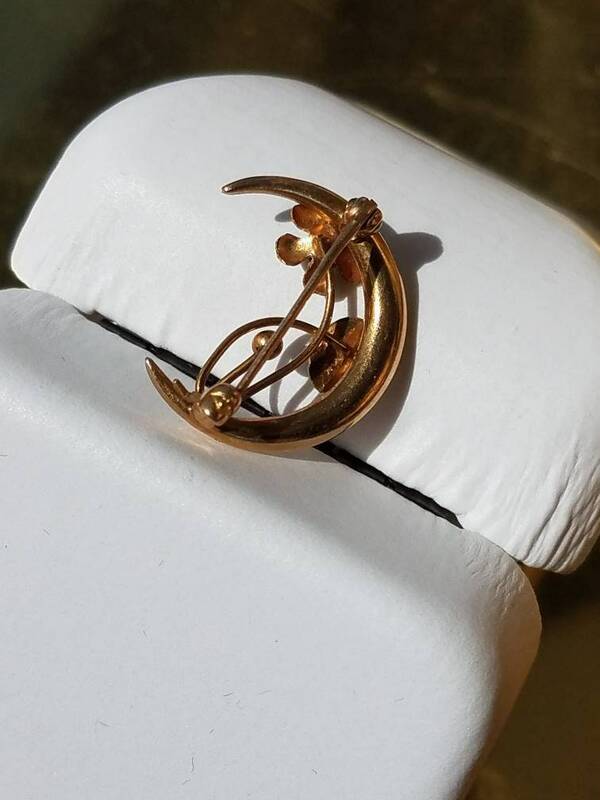 This piece is 3/4 of an inch in length.